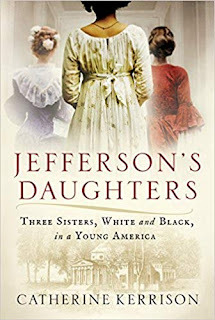 Synopsis: The remarkable untold story of Thomas Jefferson’s three daughters—two white and free, one black and enslaved—and the divergent paths they forged in a newly independent America. 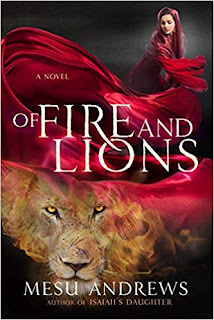 My Review: Thomas Jefferson is famous for being the author of the Declaration of the Independence and the third president of the United States. However, we tend to forget about the women behind him. This triple biography by Mrs. Kerrison tells the little known story of Jefferson’s daughters. Two of them were daughters of his marriage. The third daughter was by his slave, Sally Hemings. These three girls lived in very different circumstances. Martha and Maria lived privileged lives and were well-educated. Harriet was a slave who was eventually freed. The story of Jefferson’s daughters shows the contrast of women of different races living in colonial America. 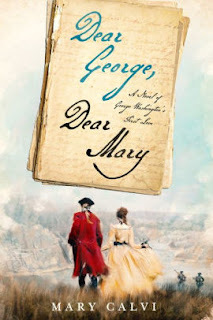 While I knew a little bit about Martha from the historical fiction novel, America’s First Daughter, I did not know much about Maria or had even heard of Harriet Hemings. These daughters are very different. Martha was educated in France. She was like her father. She loved reading and writing. She wanted her daughters to get a great education. Even though Martha’s daughters were well educated, they were not taken seriously because they lived in a patriarchal society. In fact, Thomas Jefferson did not believe in his daughters getting a good education. He believed that his daughters were supposed to marry well and raise a family. Maria has often been overshadowed by her elder sister. She was lazy and did not fancy learning. The short letters she wrote to her father greatly disappointed him. However, she had a love of novels and composed music. Maria spent some part of her childhood with her aunt, and she considered her to be a maternal figure. She married her childhood friend and had a happy marriage. However, she had a difficult time with pregnancies. One of them eventually killed her. Because Harriet was a slave, she was not educated. She worked in a textile workshop. The author states that this was a better option for Harriet because it was a much more preferred job than the fields. The author also states that she had a happy childhood with her family. There is not much information regarding Harriet, except that she escaped. Thus, the author speculates what may have happened to Harriet after she escaped. Mrs. Kerrison claims that Harriet may have gone to Washington D. C. and married a respectable gentleman. Even though Harriet was a slave, Thomas Jefferson still wanted the best for his daughter and helped her to be a successful free woman. Overall, this biography gives us an in-depth look at the women behind Thomas Jefferson. These women were fascinating, accomplished, and resourceful in their own right. There were a few time jumps that made the novel confusing. The author has a habit of going into tangents and gets side-tracked in discussing side details. Also, the book is a bit dry at times. Still, Jefferson’s Daughters introduces us to these women’s personal happiness and their challenges. Hopefully, there will be more studies on these women in the future. Maria's son left VA and moved to the new state of FL. There he was essential in the founding of FSU giving both land and money and setting up a trust. Last night, his statue, colliding with today's world, was removed from it's place on the Legacy Walk.